My days outside of photo-eye are spent living on a ranch 20 miles south of Santa Fe. On the ranch there is a sense of being a part of a very specific ecosystem that I have never fully experienced living in a city. Antelope, cattle, chickens, horses, a pack of coyotes and a pair of ravens are often the only creatures I interact with on my weekends. It's these interactions with the animals in my small ecosystem -- and whom I cannot directly communicate with -- that often create humorous stories (usually caused by moments of frustration). There are also many moments of understanding… as at the end of the summer when the herd of cows crowd around the house and ball because their calves have been sold at the market. On occasions such as this, my interactions with these animals can change my worldview. 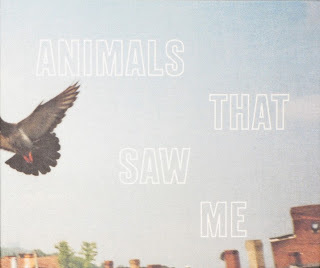 This is why Ed Panar's book Animals That Saw Me is so striking to me. Here Panar has crossed paths with a countless number of animals, creating a series of singular moments that allow the viewer to become part of that interaction. Many times there is a direct exchange between animal and photographer -- a dog staring out of a second story window looking curiously perplexed at the man with a camera below. And in many cases it seems as though Panar and the animal he has photographed are caught off guard and trying to figure out their next move. Picked as a Best Book of 2011 by Darius Himes. Purchase a copy of Animals That Saw Me.